She was studing singing at the Bratislava Conservatory in the class of Ivica Neshybova where she absolved in 2006 and in 2008 she finished operetta extension. She started playing clarinet in 2006! She was studing at the Prague Conservatoire in the class of Ludmila Peterkova and in Bratislava in the class of Matej Kozub. She absolved in 2010. She had concerts in Czech Republic, Slovakia, Germany. She is working active with kids and teens, cooperates with singing choir and she is still singing solo. She is teacher in Music basic school Biskupska in Prague. She was the first iniciator founding the Cantarina quartet. She is a leader of organisation of rehearsal and sheets archive management. She is always on time at rehearsal and concerts despite of she has no diary! She is confused about left and right side, which can be a problem when quartet is coming to the stage, where she occupies the stands of other members! Laureate of the Prague Spring 2008 comes from Prague. She studied Music at the Jan Neruda Grammar School (J. Krejci), at the Prague Conservatory (L. Peterkova, M. Polak) and at the Academy of Performing Arts in Prague (J. Hlavac, V. Mares). She is studying postgraduate studies. She has a wide range of experience in the field of Music, i.e. internship at the Real Conservatorio Superior de Musica de Madrid, studies in Boston, prizes of competitions (Brescia in Italy, Czech Republic, Leos Janacek). She was solo playing with Prague Philharmonic Orchestra, Prague Chamber Orchestra, Czech Chamber Orchestra, Philharmonic Orchestra Hradec Kralove, South Bohemian Philharmonic, Teplice Philharmonic. She is regularly recording for Czech Radio. She is a member of the Philharmonic Orchestra Hradec Kralove since 2006 and she was an intern Prague Philharmonia in years 2009 - 2011. More information on www.janalahodna.cz. She became a member of CC after a challenging audition, which took place in the cafeteria. She absolved in the class of Lubomir Barton in Brno, but she is from Olomouc. 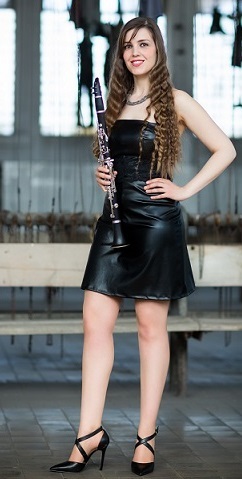 She was participants of several competitions (Concertino Praga, 1. price in Competition of Conservatories of CR, Stipendium of Yamaha competition, ISA competition of 2. Wiennese school). She was solo playing with Orchestra of conservatory Brno, with Moravia Philharmony Olomouc and with Philharmony Brno. She is intensively devoted to present czech music and occasionally hosted with Berg orchestra. She was an attendee of several courses in Czech and even in abroad (Žirovnice, Internationale Sommer Akademie Prague/Wien/Budapest, Santander in Spain). She doesn‘t know anything about wine because she is from north moravia. She is building slowly and surely solo clarinet player carrier and also she is teaching as private teacher of music, but no men. She was atteding Conservatory in Ceske Budejovice in class of Jan Dafcik and come from Chodova Plana, small city in wild czech west. She played solo twice with Chamber Philharmonic Orchestra of South Bohemia, regularly hosted in West Bohemian Symphony Orchestra of Marianske lazne, Orchestra of Frantiskovy lazne and Pilsen Philharmony, occasionally with Berg Orchestra. She was teaching clarinet in "Ti nejlepsi" course in Klatovy 2010 and 2012. She is playing mostly bass clarinet in quartet. 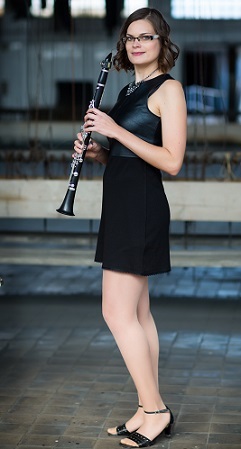 She is intensively devoted to interpretation of present clarinet, bass clarinet and saxophone music. Most her energy she put into wide range music and unmusical activities, which include her leadership in brass music Chodovarka, pedagogic activity and arranging compositions for brass band and also for clarinet quartet. She is guide in one brewery. She knows perfectly beer production.